Let's pray before we start our day. Dear Lord, I ask for Your protection and care over my loved ones and myself. 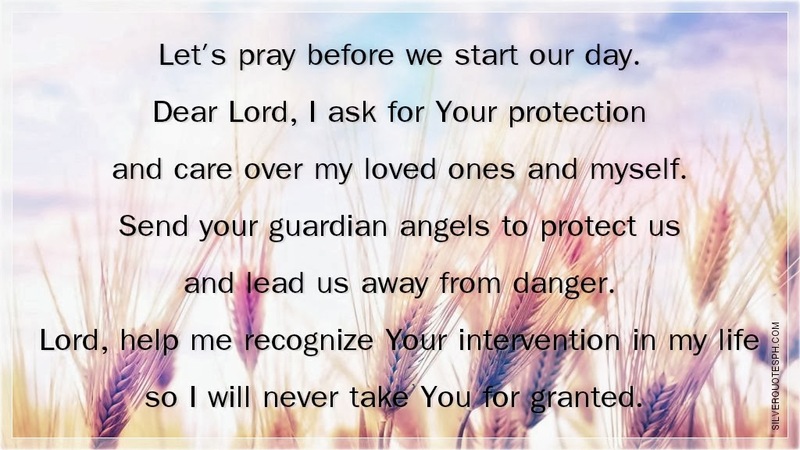 Send your guardian angels to protect us and lead us away from danger. Lord, help me recognize Your intervention in my life so I will never take You for granted.